CAMPER GARAGE is the owner of this Internet domain. The reproduction of the contents of this website is authorized whenever its origin is mentioned or authorization is requested, except for data protected by Organic Law 15/1999, of December 13, on the protection of personal data or other information that may be protected by other legal provisions. It is intended to minimize service interruptions and problems caused by technical errors. No liability is assumed for interruptions or deficiencies in the service, nor for problems that may result from the consultation of these pages. CAMPER GARAGE ensures that the presentation of all the essential contents and functionalities of the web is independent of the physical devices and web browsers used for this purpose, encoded with technical standards of free use. On desktop computers in common use it is recommended to use screen resolutions of 1024 x 768 pixels onwards. It is forbidden to send unsolicited mass mail or unsolicited email (SPAM) addressed to email accounts used in this Web. It is forbidden to use this Web for commercial purposes or in an inadequate way for its own purpose. The user will not be able to access the Web site in a way that damages, deteriorates, underutilizes or overloads the services and / or information offered. This website belongs to CAMPER GARAGE with registered office in Polígono Igeltzera, pavilion C11, 48610 Urduliz, with contact telephone 946 760 485, with CIF: 16056143G, with email address info@campergarage.com. Currently this company is operating in the network under the following domain name: campergarage.com. Rental and repair of vehicles. The use of this Web Site attributes to the navigator the status of User of the site, which implies adherence to the present conditions in the version published at the moment in which it is accessed. Therefore, campergarage.com recommends to the User to read the same carefully, as well as the general contracting conditions, if applicable, each time you access the Website. campergarage.com may alter at any time and without prior notice the design, presentation and / or configuration of the Website, as well as some or all of the contents, and modify the general conditions and / or particular conditions required to use them. campergarage.com disclaims any liability arising from the information published on its website, campergarage.com, or any other dependents thereof, provided that this information has been manipulated or introduced by a third party outside the organization. This Web Site is intended to minimize problems caused by technical errors. However, some data or information contained in the pages may have been created or structured in files or formats that are not error free, so it can not be guaranteed that the service will not be temporarily interrupted or otherwise affected by such technical problems. campergarage.com assumes no responsibility with respect to such technical errors or errors that arise as a result of the consultation of the pages of campergarage.com or of those other external object of forwarding of the main page. At any time and without prior notice to the User, campergarage.com, may carry out the temporary suspension of services on its website due to technical problems or force majeure. 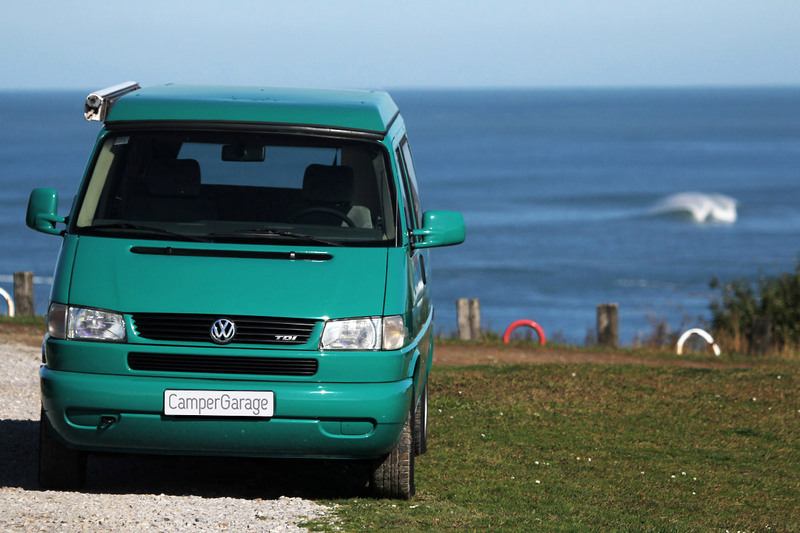 campergarage.com, in compliance with the current legislation on personal data protection, Law 15/1999, informs that it is committed to respect the personal data and privacy of the user. The processing of personal data will be collected in an automated file, whose responsibility is campergarage.com. The user grants the express, free, informed and unequivocal consent to the collection and processing of their data by campergarage.com, being unable at any time to sell or to transfer such data to third parties outside the campergarage.com organization. The purpose of the processing of such data is to be able to inform about news, newsletters, publicity regarding services own of campergarage.com. The user that integrates his personal or professional data in the present Database expressly and unequivocally accepts the possibility of receiving commercial communications from campergarage.com. If you do not wish to receive commercial communications, you can unsubscribe in the “unsubscribe” section of the newsletter itself. campergarage.com uses coockies for proper navigation and use. The processing of personal data that is carried out through this website will be subject to the provisions of Organic Law 15/1999, on the protection of personal data, and in the rest of the application regulations. The data collected will be transferred electronically or archived with the consent of the citizen, who has the right to decide who can have their data, to use them, to request that they be accurate and used for the purpose for which they are collected, with exceptions provided for in current legislation.